Please click on the blue text for additional event details. Private Event: A private memorial walk will take place on a piece of the Regions Bank 17th Street Plaza Section A from 7 a.m. to 11 a.m. on Saturday, May 4. Work out for Water presented by Neverthirst will take place from 9 a.m. to 12 p.m. on the SPIRE West Green. Private Event: A private wedding will be held on the Regions 17th Street Plaza Section B from 2:30 p.m. to 6:30 p.m. on Saturday, May 4. The rest of the Park is still open to the public. Sponsored by Blue Cross and Blue Shield of Alabama, Get Healthy on the Railroad Cooking Classes will teach participants healthy cooking tips. Free to attend, representatives from Jones Valley Teaching Farm and Urban Ministry will offer cooking demonstrations and food tastings, complete with take-home recipes. The first 100 attendees to sign in receive a parcel of free Alabama produce sourced through Piggly Wiggly, with the chance to recreate each recipe at home. At select classes, Project Yummy, the Junior League of Birmingham’s Mobile Teaching Kitchen will be onsite to encourage healthy eating and basic cooking skills for children. Cooking classes take place on the Regions Bank 17th St. Plaza. These low impact workouts are tailored to the fitness levels of the participants. Senior Fit implements four categories of activity that the NIH states offer seniors the most health benefits: flexibility, endurance, balance, and strength. The group exercise setting also provides a social opportunity designed to benefit mental and emotional well-being. NOTE: Class instructors are subject to change based on availability, and classes will be cancelled in the event of inclement weather. Class cancellations will typically be determined by 4 pm the day before class. For timely updates regarding class schedule, please visit the Park's Calendar of Events and our Facebook page. UAB Medicine and UAB School of Nursing celebrate some of the hardest working people in health care -nurses- at a citywide celebration from 5:00 - 9:00 p.m. at Regions Bank 17th Street Plaza. This event is FREE and open to the public. Public Event: Intro to Interactive Nanny will be held from 11:00 a.m. to 3:00 p.m. at Lakefront A on Saturday, May 11. This event is FREE and open to the public. A private event will take place on a portion of the Regions Bank 17th Street, Section B. The rest of the Park is open and available to the public. Children's of Alabama Spring Scramble 5K will take place from 4 p.m. to 8 p.m. on the Regions Bank 17th Street Plaza Section A. 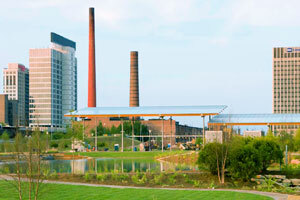 Members of Railroad Park are invited to the inaugural Member Volunteer Day on May 18th, 2019 from 8:30 a.m. to 11:30 a.m. Alongside Railroad Park staff, members will engage in beautification efforts around the Park, assuring the space is pristine for its busiest season and helping Railroad Park deepen its role as a welcoming place for all! Not a member? Support Railroad Park today and get in on all the fun! Private Event: A birthday party will take place on a portion of Regions Banks 17th Street Plaza Section A. The rest of the Park is open to the public. Private Event: Intermark Field Day will take place from 12 p.m. to 4 p.m. on a section of the Protective Life Meadow on Thursday, May 23. The rest of the Park is still open to the public. Public Event: Turner Syndrome Society Presents Chasing Butterflies Walk on a section of Regions Bank 17th Street Plaza Section B from 8 a.m. to 12 p.m. on Saturday, May 25. This event is FREE and open to the public. For more information, click here. Private Event: A private family reunion will take place on a portion of the Regions Bank 17th Street Plaza Section B from 2 pm to 6 pm on Saturday, May 25. The rest of the Park is still open to the public. Public Event: BAPS Charities Walk will be held from 8:00 a.m. to 12:00 p.m. at EBSCO Industries, Inc. West Gate on Saturday, June 8. This event is FREE and open to the public. For more information, click here. Private Event: A family reunion will take place on a portion of the Regions Bank 17th Street Plaza Section B from 11 a.m. to 3 p.m. on Friday, July 6. The rest of the Park is still open to the public. Private Event: Family Reunion on Saturday, July 6 from 12:00 p.m. to 4:00 p.m. on a portion of the Regions Bank 17th Street Plaza Section B. The rest of the Park is still open to the public.